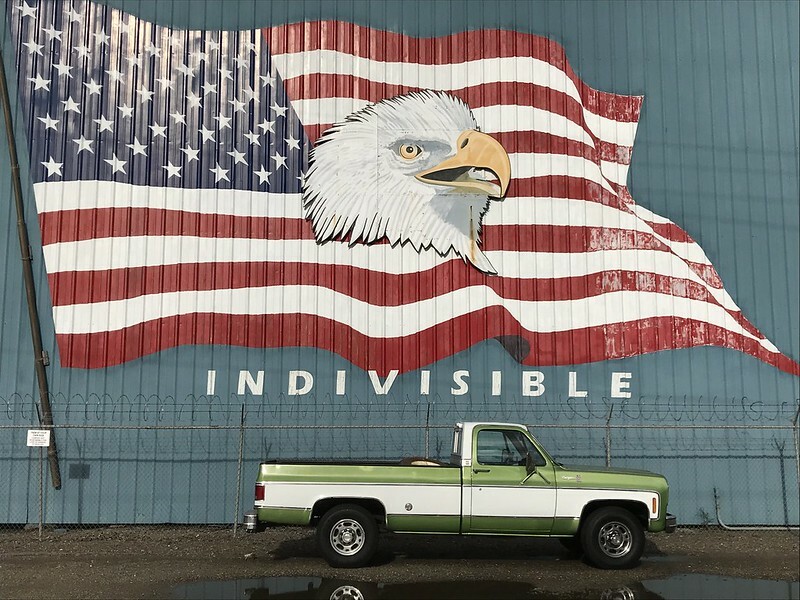 My 1984 C10. The engine in it when I got it was a supposed 383. That engine had several bent pushrods and popped rocker studs. It turned out to be a 010 block 882 head standard 350 with a too big cam in it so it came out. I got a 4 bolt main roller 350 with Vortec heads on sale from Jegs (L31R). Before installing the new engine I installed LS6 beehive springs, new retainers, comp 1.6 rockers, and a SP350/357 cam. The intake is Jeg's house brand vortec manifold and I have a Holley Sniper EFI unit on that. The interior was pretty trashed so I went over that as well. 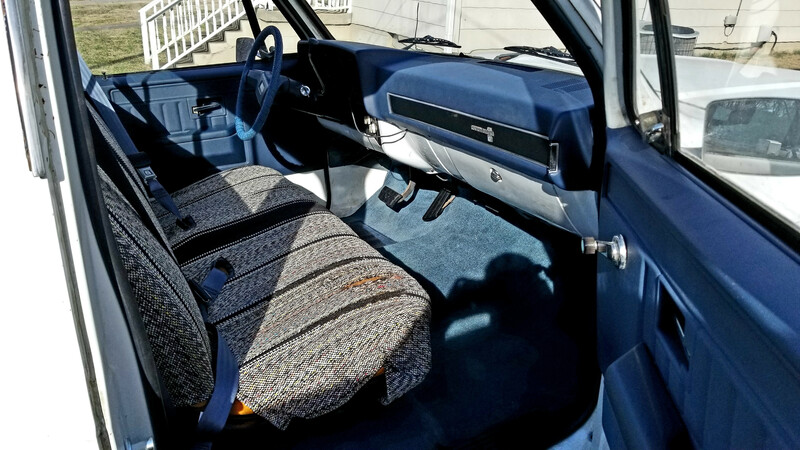 Its a factory blue on white truck with blue interior, so that's what went in. 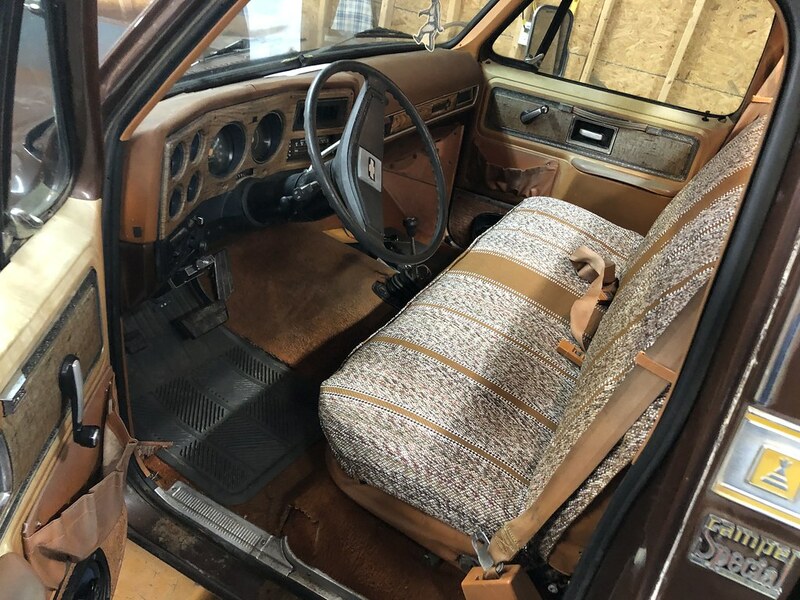 Its still a ways from where I want it to be, namely the seat cover and stereo, but its close enough that the misses will ride in it now, albeit not for long trips and it takes some convincing still. 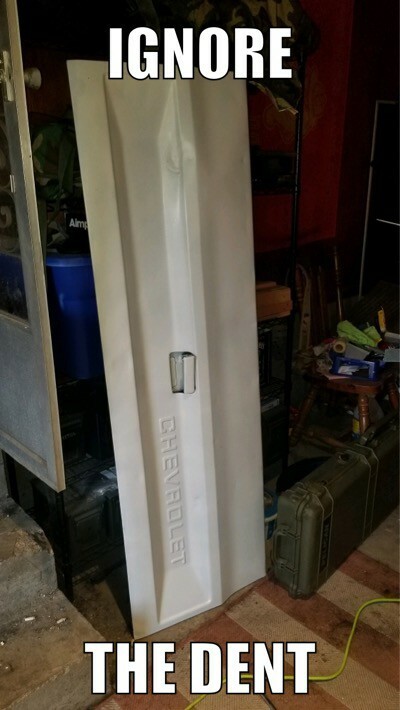 The tailgate was trash so I snagged one out of the local junk yard and painted it to match. Here is my 76. It's a future project. I'm going to start a build thread on it sometime soon. Finally finished my 78 Long bed. Took about a year to do . Rebuilt engine, lowered about 3 inches and lots of new interior stuff ! Here's mine. Daughters named her Sweet Pea. 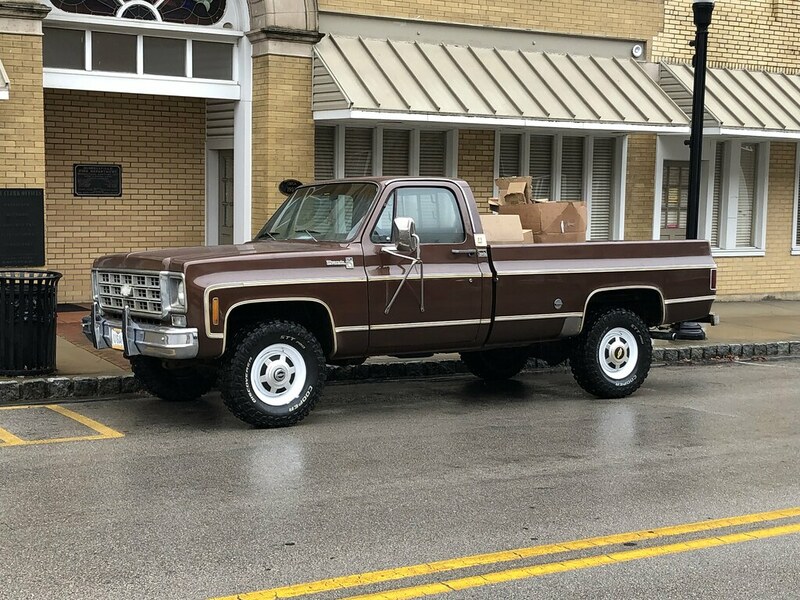 1975 Cheyenne 20. 350/th400. Here's mine, still a small work in progress, need to re-paint the fleetside bed. Very nice. Like the looks of the flatbed. Here's mine! First post here, just bought this thing a couple weeks ago. 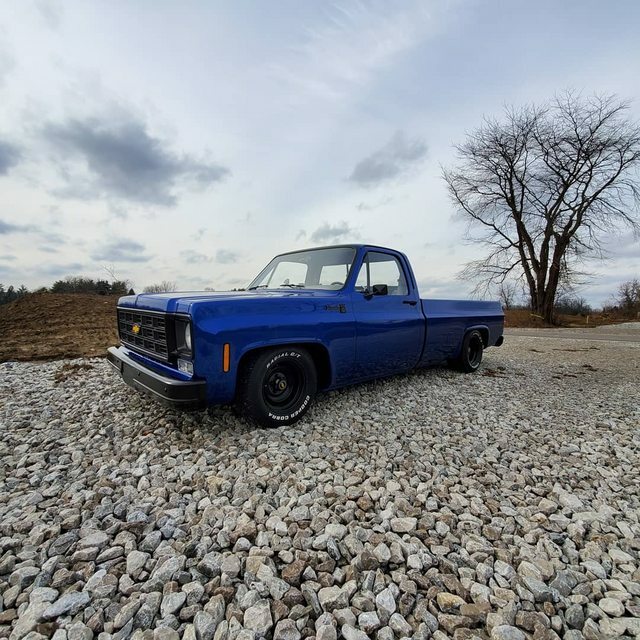 1980 C10 Silverado. She needs some TLC. 1980 Chevy K20 "The Wood Truck"
Had my garbage out Sunday for a drive and a quick pit-stop for some shots. Had about a month now. Welcome to the forum and nice truck! 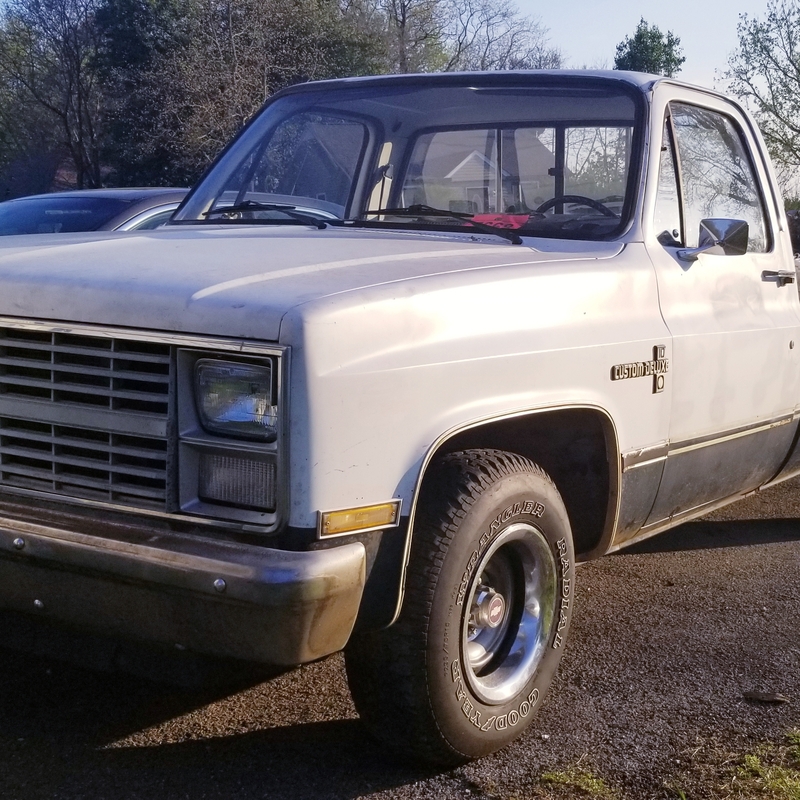 Just picked up this 1979 k10 last week. Frame is rust but the body has held up well, needs rockers and has some small bubbles that need attention, going to be my daily driver. 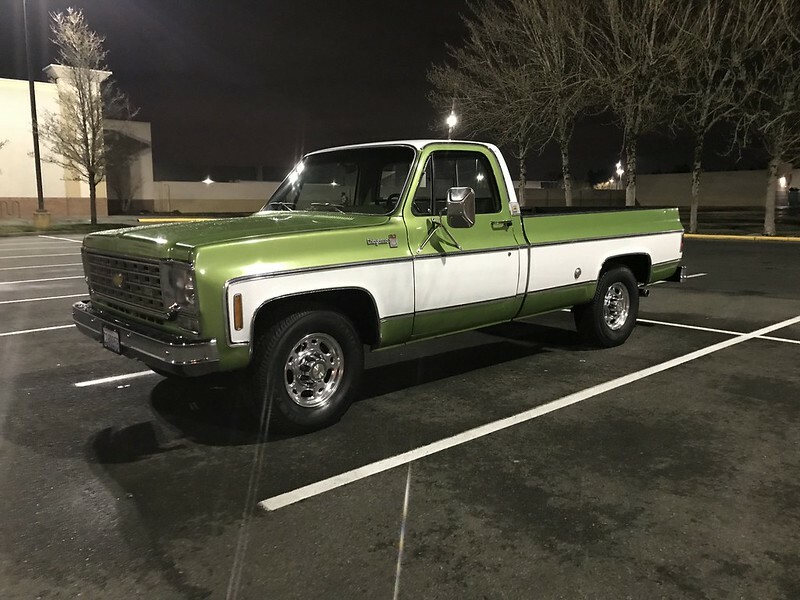 my old '74 C20 A/C cab daily driver, retired CHP truck, likely from commercial enforcement.. 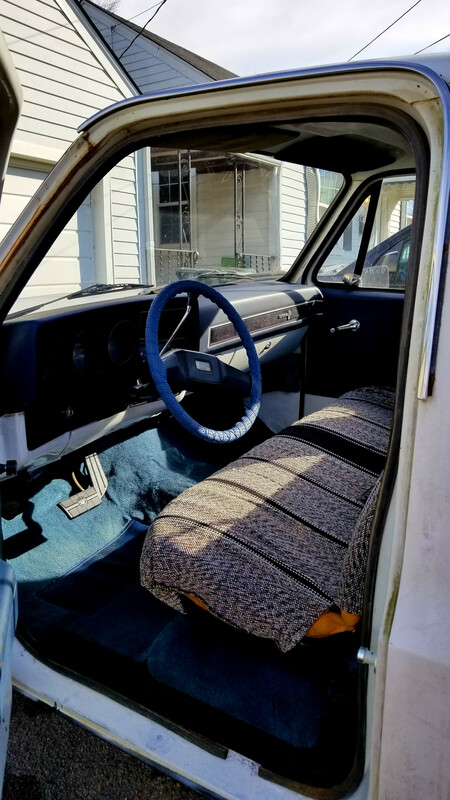 Picked up this 77 K20 Camper Special during the holidays. Need to go through and clean up the orange interior and buff out the paint, but a pretty clean and solid old K20. Had to go back to steelies and caps!